TRUCKEE, CA. 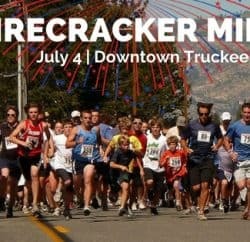 — Organizers are expecting up to 600 runners and walkers of all ages and abilities to run in front of thousands of cheering spectators in Truckee’s annual Fourth of July Firecracker Mile. The Mile is a family fun event on a slightly downhill course starting at US Bank on Donner Pass Road and finishing downtown. More than 100 of last year’s Firecracker Milers were under age 10, and some as young as age 3 even completed the race. Little ones in strollers also are welcome. Participants will receive a commemorative water bottle at the finish. For the serious runners, an elite wave of up to 100 runners starts at 9:40 a.m. on Friday, July 4. You must pre-register for the race to enter the elite wave. The fastest time in 2015 was Garrett Mack, at 4 minutes, 27.0 seconds. In the women’s category, Natalie Novitsky finished first with a time of 5:24.4, followed by Truckee’s Hannah Halvorsen in 5:28.8. The second wave of fun runners and walkers will start at 9:50 a.m. Both waves will be timed, and Fourth of July themed running attire is encouraged. Organizers are expecting an additional fun wave at 9:55am as well. 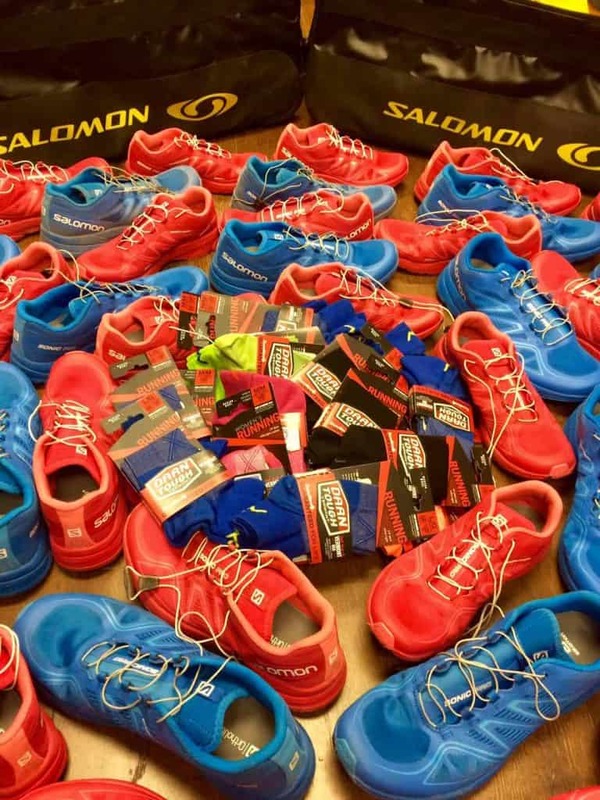 Salomon Sonic Pro Shoe Demo! Every demo participant gets a Free pair of Darn Tough socks! Day of registration and bib pick up is from 7:30 a.m. to 9:00 a.m. at the parking lot across from US Bank (10995 Donner Pass Road). Arrive early to find parking and allow time to walk to start line. Entry fees increase after July 3, so pre-registration is encouraged. Participants are encouraged to stay and watch the amazing Truckee Fourth of July Parade, put on by the Truckee Chamber, which follows both races at 10 a.m. 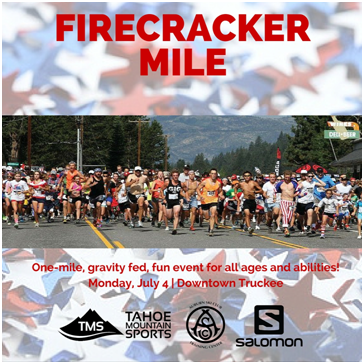 The Firecracker Mile is organized by the Auburn Ski Club Training Center and raises funds to support children’s Nordic ski programs in the Truckee, Tahoe, and Foothill communities. 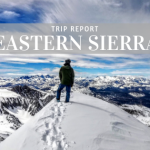 On July 30, ASC Training Center will host the 36th annual Squaw Mountain Run, which benefits ASCTC junior Nordic programs, and the Gene Upshaw Memorial Tahoe Forest Cancer Center. 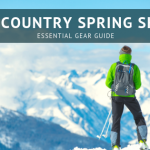 Learn more at www.squawmountainrun.com. 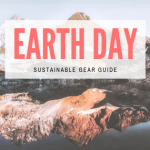 Thank you to the following sponsors for their unwavering support of this holiday race: Tahoe Mountain Sports, Salomon Running, Darn Tough Socks, Ultimate Direction and Hammer Nutrition. Volunteers are welcome for both events by emailing [email protected] or calling 530-426-3313. Previous PostPart 1 Preparing for your First Ultra Run - Tahoe Trail Running Next PostIt was a ridiculous bivvy - private lake view!